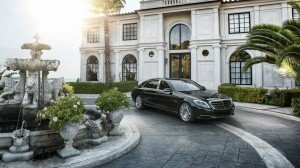 The Mercedes-Benz S600 Guard reached the Indian market in May 2015 and is meant to protect all occupants within the cabin. The vehicle combines luxury with security. The Guard is able to endure shots from a 7.62×51 mm rifle, along with an underbody that can withstand grenade explosions. The windows are comprised of thick laminated glass that has a polycarbonate coating to increase safety when shots are fired. When the vehicle needs to flee, its six-liter V-12 engine generating 530 brake horsepower allows the driver to do so. The brakes and air suspension system have been enhanced to ensure the driving quality remains, even after the increase in weight due to the plethora of safety features. The cabin is equipped with an LED intelligent light system, a 360-degree camera, a fire extinguishing system, and an emergency fresh air system. All of these functions can be control via buttons located in the center console. What consumers like the most is that the luxury of the S-Class is not lost one bit. This has allowed for Mercedes-Benz to reap the benefits of over 1,000 of these Guards sold globally. If you are someone in need of protection, Silver Star Mercedes-Benz Montreal sees the S600 Guard as the way to go.